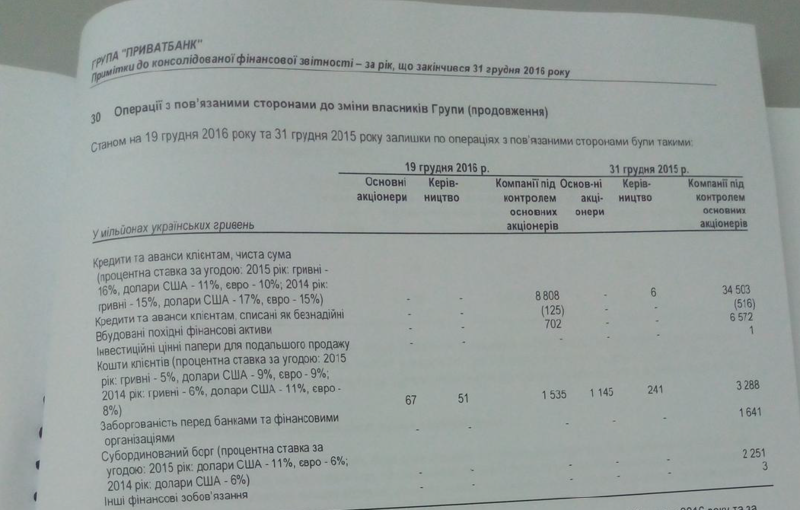 "I've familiarized myself with an official annual report published in the press on PrivatBank, which was audited by EY. 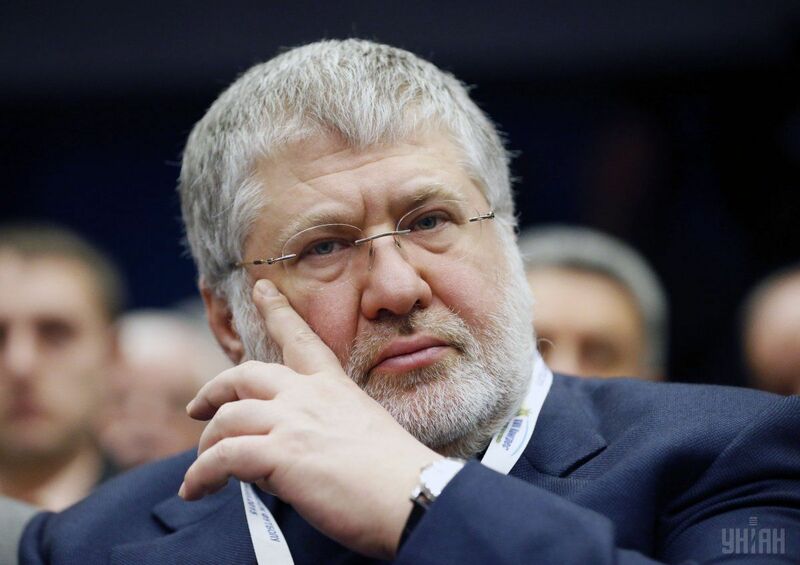 If in their report to the government, PrivatBank's top managers appointed by the state counted about UAH 9 billion in loans issued to companies 'affiliated with previous shareholders' at the moment of nationalization, then I have no reason not to trust them," Kolomoisky said. 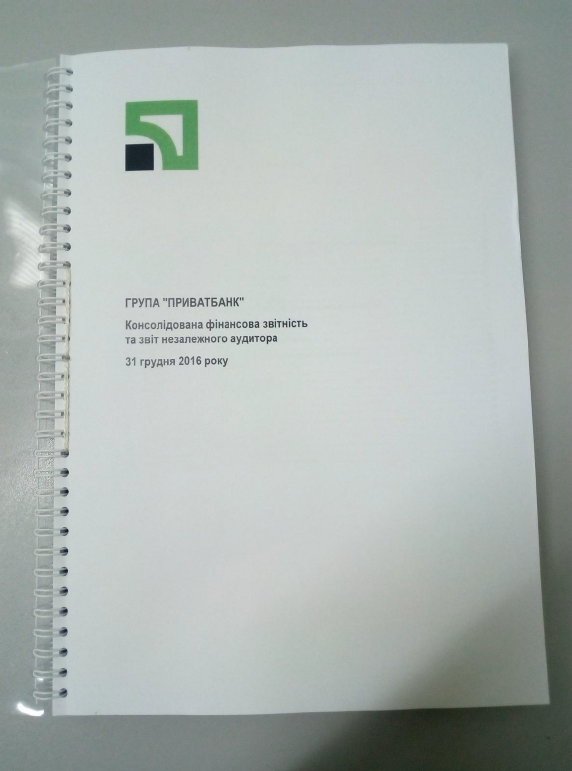 Read alsoEx-owners of PrivatBank may challenge bank's nationalization in court – lawyerHe stressed that these managers were appointed by the National Bank and the Ministry of Finance after careful selection and analysis of their professional skills. "The only thing that causes concern is the ill-considered statements of National Bank officials who, in order to justify the nationalization, hastened to inform all corporate borrowers of PrivatBank that Kolomoisky and [Hennadiy] Boholiubov should repay their debts. And they continue to spread this untrue information in the media, even using international news agencies," Kolomoisky said. "Obviously, after such statements, borrowers of PrivatBank may stop paying off their loans. After all, it turns out that the National Bank has officially informed them that they do not owe anything. This can do harm to the bank. Therefore, of course, it is necessary to take a more considered approach to such statements," the businessman advises. 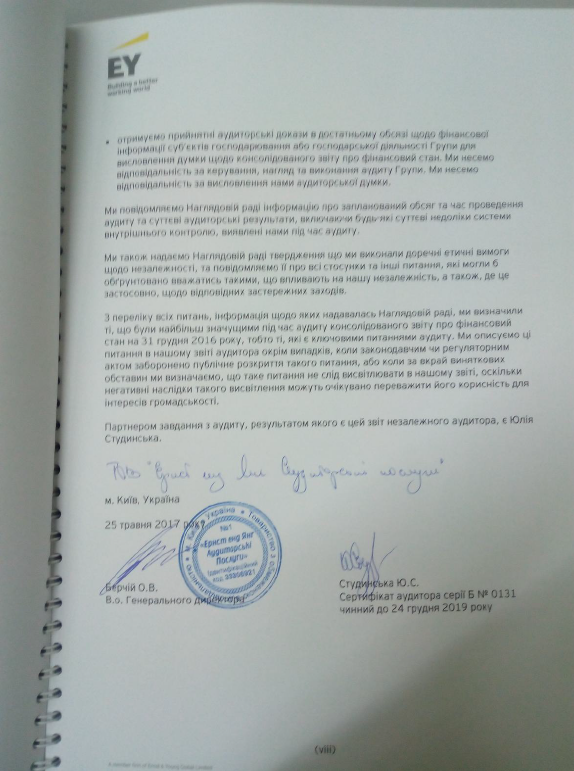 Earlier it was reported that Triantal Investments LTD of businessmen Ihor Kolomoisky and Hennadiy Boholiubov, which held 16.8% of PrivatBank's shares prior to the bank's nationalization, filed a lawsuit in the District Administrative Court of Kyiv. The defendant (debtor) is the National Bank of Ukraine, and the third persons are the Ministry of Finance and PrivatBank. The first court hearings are scheduled for July 27.